Central Station Hostel i Amsterdam, Nederland: Bestill nå! 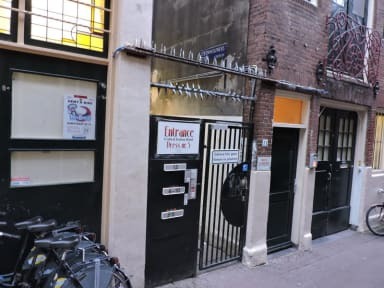 Central Station Hostel located in the heart of Amsterdam just seven minutes walk from Central Station, next to Dam Square. Making it ideal for those coming by train from Schipol Airport. The Central station Hostel is a perfect starting point if you want to explore Amsterdam. All you need is just minutes away, the city's hotspots are all walkable from here. Save money since you don't need to pay for transportation when you stay with us! Because we are located in a side street from the big crowded noisy street you will not hear any of this noise. Other than most of the other hotels in the area, If you like peace, silence and a good night rest after a busy day in the crowded streets of Amsterdam you will find it with us. We are a no-drug and no-alcohol hostel. Thank you for choosing Central Station Hostel. Our staff is young, helpful, friendly and knowledgeable about what to do in and around Amsterdam. 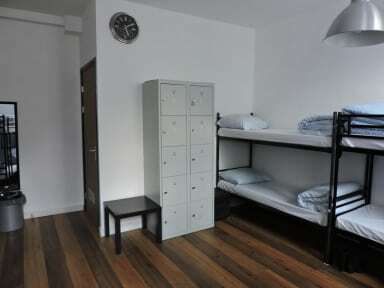 - After chek out free luggage storage, no curfew, no drugs and no alcohol allowed in the hostel. Using drugs and alcohol is not allowed in our hostel. We have a cute cat in our hostel. To preserve and maintain our laid-back & smooth atmosphere we do not allow: Persons under 16 years of age or above 40, pets, any bookings of stag nights, hen nights or sport tours, soccer fans for (inter)national matches and large groups more then 6 persons. If all you need is a place to sleep, this hostel is perfect! It is such a good location, and right next door is a bike rental place. All sorts of things to do right in the area. The hostel itself is okay. Clean and okay. The staircase to get to the room is very steep (like everywhere in Amsterdam). Not a problem, but if you have some kind of walking problem then keep that in mind.